Nursing — like teaching and waitressing — is among the occupations that economists call “pink-collared jobs,” or professions long dominated by women. 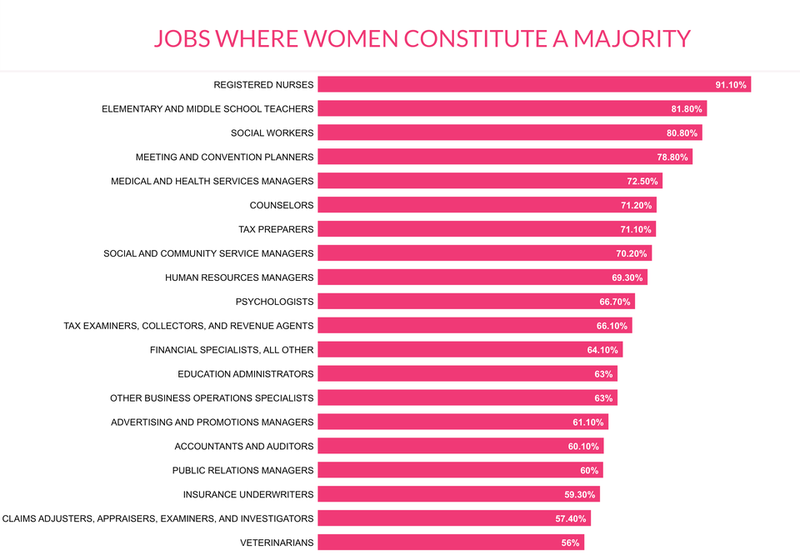 While more and more men are donning the pink-collar and facing the social stigma associated with “women’s work,” numbers tell us that we have a long way to go when it comes to evening out representation in certain fields. One of these occupations is nursing. Nine out of 10 registered nurses are female. 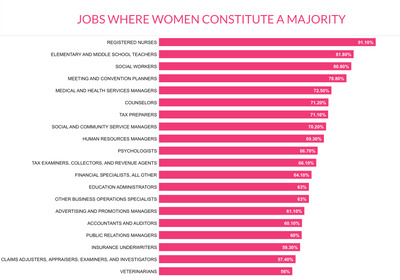 Other occupations where women are highly concentrated include human resources manager, social worker, and counselor. Economists warn against such staggering disproportions, and believe that more integrated occupations would make the economy more efficient. Behavioural economist, Teresa Ghilarducci, told the New York Times that artificial barriers, such as the stigma around “women’s work,” make it more difficult for companies to find the best matches when hiring.